I found myself in Seattle for the long weekend, having not known about Memorial day when I booked my flights. Still, there are worse places to be stranded (like NYC in a snowstorm when I’m supposed to be skiing in Italy). 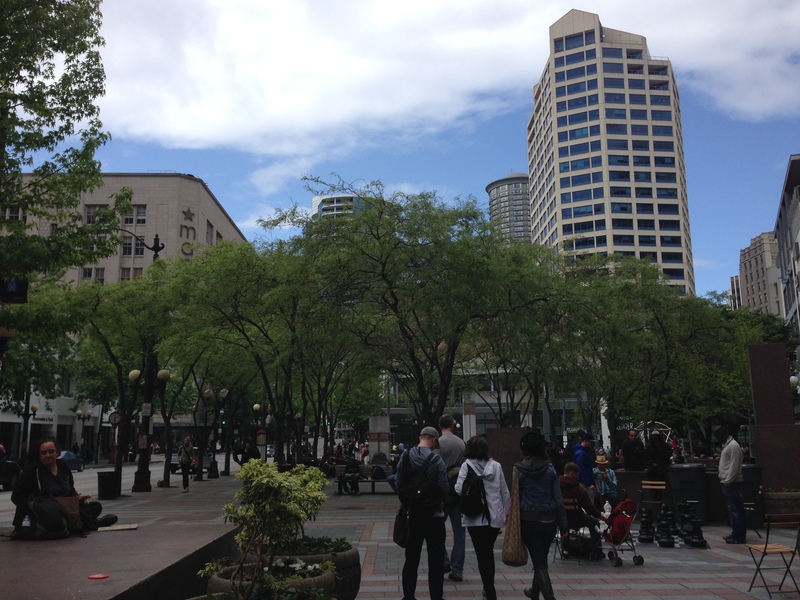 This was at least my 7th time in Seattle, like San Francisco I feel disorientated rather than lost when I’m there. Things look familiar, but I don’t know how to fit the pieces together. I’ve seen the tourist traps (original Starbuck at Pike Place Market), taken the boat, been to the art gallery (I saw an exhibition of Feminist art, which was cool but felt disjointed – feminism is a broad topic, afterall – but that is where I discovered the amazing Guerrilla Girls), and been out to San Juan (so beautiful, terrible food). The nice thing about having been to a place a bunch of time, and knowing I’ll be back again (possibly even next month) is that I feel no need to rush about SEEING ALL THE THINGS but am happy to mosey and hang out. Which is good, because I was completely wrecked from giving two talks in a week, a stressful time at work, and jetlag. So in the end, I gave up doing anything tourist-ey, and mostly chilled out. I took some long walks across town, and had some amazing breakfasts/brunches at Lola (amazing croissant from the Dahlia Bakery), Coastal Kitchen (pancakes! ), Dahlia Lounge, and the Icon Grill. Other than that, I ate sushi at Wann (great happy hour, including Lychee Sake), Momjii (possibly the most delicious sushi I have had), Japonessa (magical) and Wasabi Bistro (such interesting rolls). I stayed at the Westin, which has a nice central location and comfortable rooms with rain showers. Also had a reasonable gym and pool, although I was too exhausted to really take advantage of them. I was lucky enough to be in town for the Seattle International Film Festival, and got to see the premier of the ENIAC Programmers Project and meet the woman who worked for over 25 years to make this documentary happen. It was absolutely amazing, the story was great and these women were so incredible – I’m so thankful that Kathy captured their stories while they were still alive to tell them. I found it really interesting how sanguine they were about being written out of history, although there was a story about not being invited to a dinner recognising the achievements of the ENIAC project! Feeling passed over is something that still comes up with other technical women I speak to today, so I guess some things don’t change. The coolest thing I learned in the documentary was that the ENIAC ran in parallel. So not only did these women figure out how to program a machine using the wiring diagrams, they ran these programs in parallel. So perhaps that diminishment of their achievements was the first instance of men dismissing women’s technical work because they hadn’t taken the time to understand it. I bought Jean Jennings Bartik’s memoir (Amazon), which I’m really looking forward to reading. Got a much needed massage and facial at Penelope and the Beauty Bar, which was great, and picked up new jeans. My preferred way to buy jeans is to go into Nordstrom Rack, pick out every style of Joe’s jeans (Amazon) in my size, try them on, and then buy them all. I also went to Ada’s Technical Book Store which was awesome. Loads of technical books, but also cool little electronics and even Goldiblox. 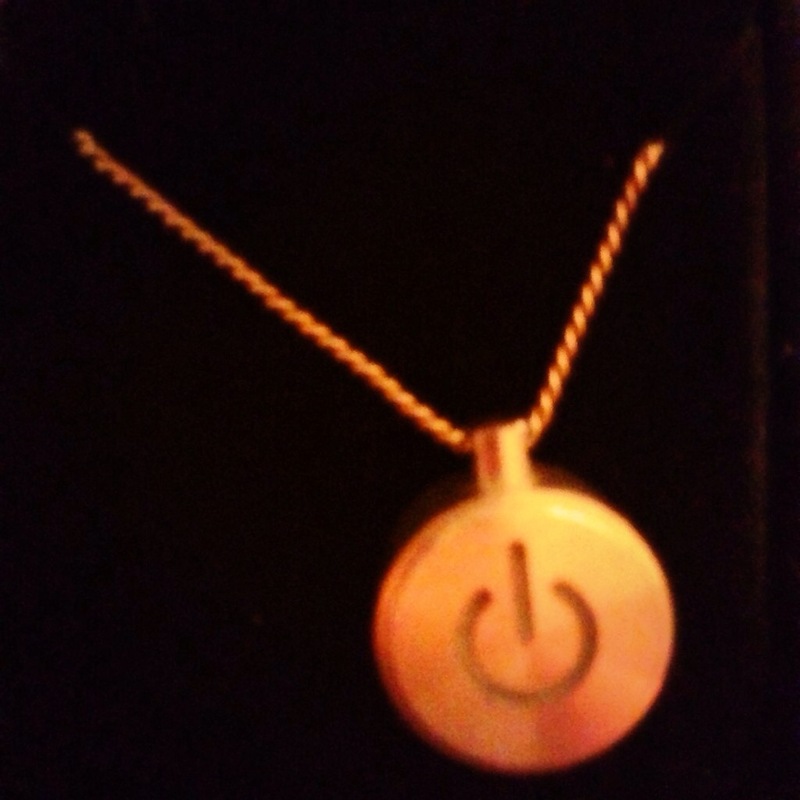 I was so glad it existed, I had to buy something, and ended up opting for an AdaFruit iNecklace (Amazon) with a status light – so now I have an on-switch. All in all, a nice and relaxing weekend. I bought myself an on switch. I’ve been needing such a thing all week.